The hybrid cloud has essentially made the transition from a fringe technology to a widely-implemented business practice - VentureBeat reported that IBM recently acquired a $500 million contract to transform Anthem's current data center into an efficient hybrid infrastructure. Though the bridging of cloud and physical storage services is not a new topic, the industry continues to evolve and change to meet the needs of storage clients. IT teams would do well to look ahead in 2015 to see if the latest innovations in hybrid cloud storage will create new opportunities for their data centers. Cisco's latest Cloud Index Report suggests that the current data center market is a gold mine for hybrid cloud services, said Data Center Knowledge. The report predicted annual global traffic to surpass 8.5 zettabytes in 2018, compared to the 3.1 zettabytes of global traffic recorded in 2013. Data center IP traffic will continue to rise between 2013 and 2018 at a CAGR just over 20 percent. Additionally, the report emphasized that cloud data centers will be par for the course by 2018, processing nearly 80 percent of total workloads worldwide. 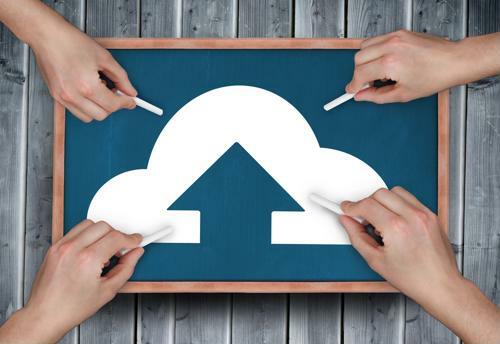 The idea of a completely agnostic cloud still seems like a pipe dream to some IT experts, but the rise of the hybrid cloud has driven more businesses to develop their own interconnectivity strategies. By using a remote console server, for example, an organization could provide employees with access to files stored in separate facilities that aren't accessible via the cloud. More open-source cloud platforms have released innovative connectivity tools as of late that help IT teams bridge the gap between in-house and the cloud with ease. CIOs and other decision makers at the highest level have become more aware in the past few years that one-note storage strategies are no longer a viable strategy for IT. As a result, 2014 saw more CIOs decide that an investment in the hybrid cloud was a worthy investment, according to TechRadar. This year is likely to follow suit as decision-makers begin to better appreciate the role that hybrid clouds play in the company's IT portfolio.